By Chrystal Baker of The Duo Dishes and Any and Everywhere. Chef Pierre Thiam’s new cookbook, Senegal, a detailed look into the culture and food of his homeland. The full title, Senegal: Modern Senegalese Recipes from the Source to the Bowl, should give the reader an idea of what to expect. The book is an informed collection of more than just recipes–it’s one man’s story of where he comes from and how he eats. 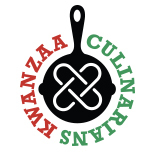 As a black American with roots in the South, it’s clear where so many culinary ties remain between some of our ancestors in West Africa and those of us in the States and other parts of the world. Senegalese dishes have their own distinct flavors, as well as those influenced by previous colonizers and emigrants–French, Vietnamese, Lebanese, etc. Rice and grains (specifically millet and fonio), stewed meats, palm oil, smoked and fermented fish, vegetables such as sweet potatoes, okras, yuca and tomatoes, bright citrus, raging hot peppers and fruits such as coconut, mango and bananas are commonplace ingredients. Many of these and more can be found in Thiam’s recipes. These include an array of street food snacks, vegetarian and grain-based dishes, meat and seafood and sweets — Onion Yassa Soup, Tamarind Littleneck Clams, Lamb Fonio Tabouleh, Salmon Yuca Croquettes, Grilled Oysters Casamance, Spicy Kelewele Fried Chicken and more. The desserts really piqued my attention–Banana Coconut Fritters, Touba Red Palm Brownies, Baobab Fruit Granita and Coconut Lime Palm Ice Cream. 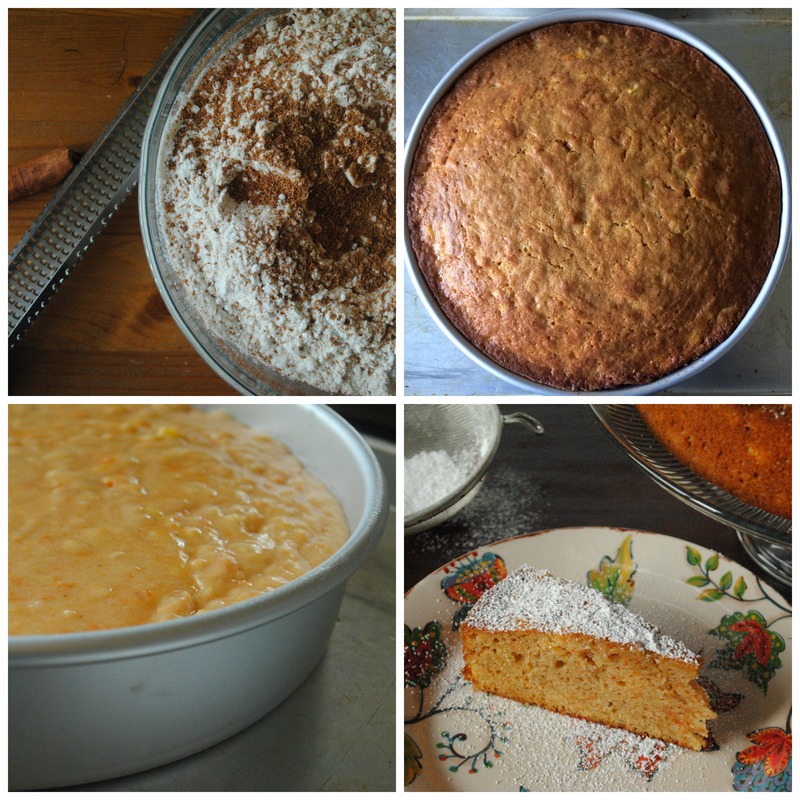 A simple recipe for Sweet Potato Mango Spice Cake was just the thing that I could imagine at a post-church holiday lunch service or a Southern restaurant’s menu, which was exactly why I chose to make a slightly revised version of that dessert. One cultural concept in Thiam’s book reminded me of ujamaa–the Kwanzaa principle that speaks to economic cooperation. Thiam details the meaning behind teranga, the Wolof word for “hospitality” or “welcoming generosity.” He describes the Senegalese determination of wealth as giving away what you have instead of holding on to it. The community, and everyone taking part in the process of sharing, benefits. There is always enough, and everything you have is enough to share with others. Once you bake this cake, one large enough to feed many, you may find yourself struck with a desire to incorporate more sharing in your life. 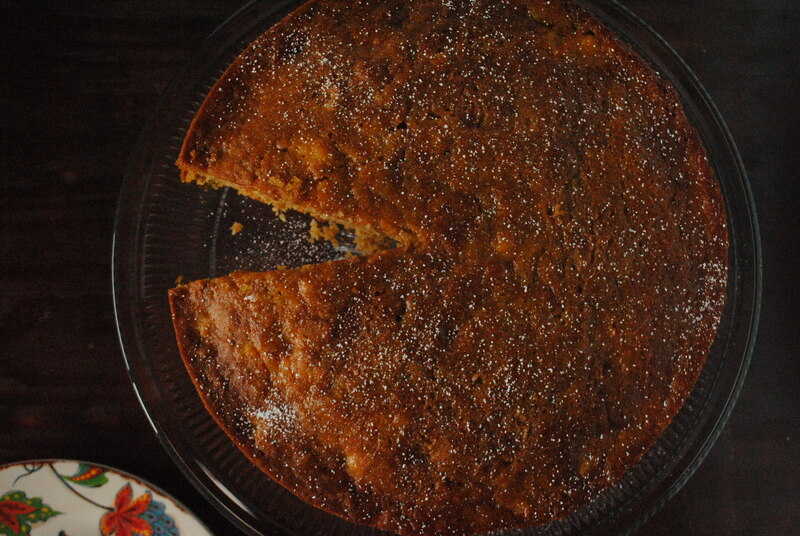 It’s a beautifully dense, moist and nourishing cake perfect for gatherings with family and friends during this time of the year. 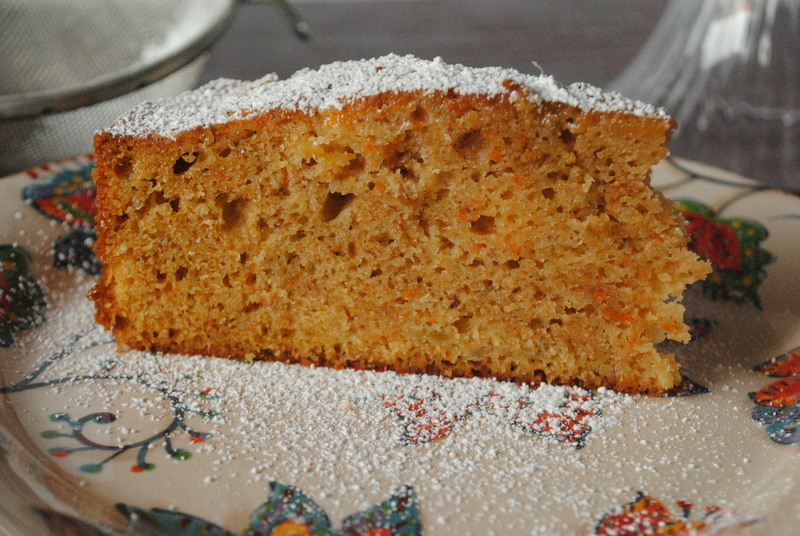 It would be perfect with a cup of coffee, tea or even milk. 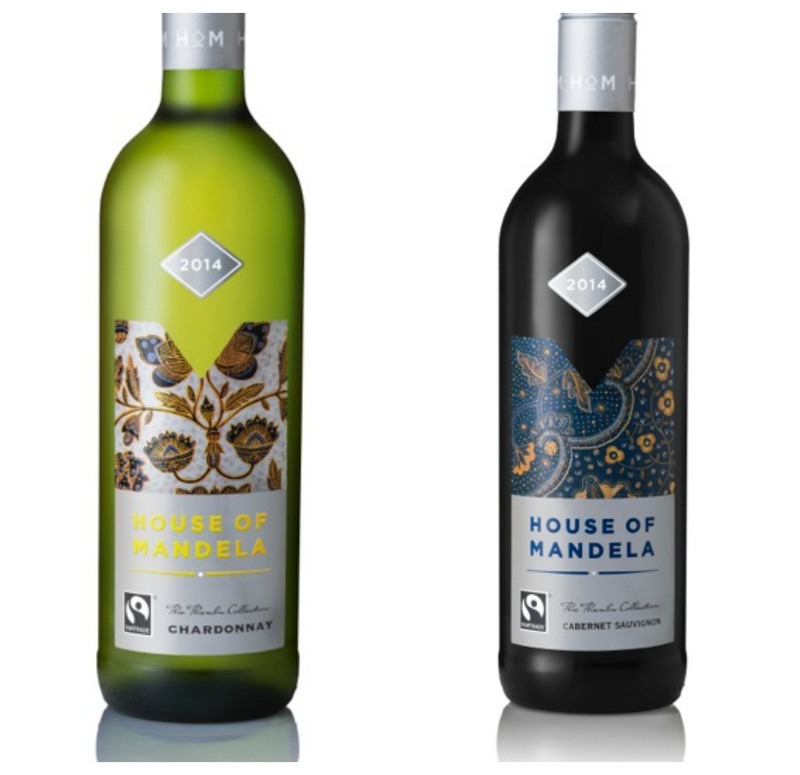 If you’re the kind of person who prefers wine with dessert, pour a glass from House of Mandela. Nelson Mandela’s daughter and granddaughter, Maki and Tukwini Mandela, launched the brand several years ago. It is a symbol and celebration of the Nelson’s family history, as well as one of the players in South Africa’s growing contributions to winemaking. This version of the recipe has been tweaked slightly in terms of verbiage and preparation. I also used 1 tablespoon of fresh ginger instead of the original recipe’s use of 2 teaspoons ground ginger. If you don’t have grapeseed oil on hand, any vegetable oil will suffice. With such a large cake pan, I’m convinced you can feed more than 10 as noted in the book. Pour a little tea or coffee, and invite a couple more people to the table. For more information about Chef Pierre Thiam and his book Senegal: Modern Senegalese Recipes from the Source to the Bowl, visit Facebook, Twitter and Instagram. 1. Preheat the oven to 325 degrees. Grease a 10″ round cake pan with floured baking spray. Set aside. 2. In a large bowl, whisk together the flour, cinnamon, baking soda and salt. Set aside. 3. Using an electric mixer, beat the oil and sugar until combined. Add the sweet potato and mango, beating until smooth. Finally add the eggs, one at a time, followed by the vanilla. 4. Pour the batter into the prepared pan, and bake for 60-70 minutes, or until a toothpick or cake tester comes out clean once inserted in the center. Cool in the pan for 10-15 minutes, then transfer to a wire rack to cool completely. 5. Once cool, dust with powdered sugar. Disclaimer: I was provided a copy of the Senegal cookbook, two bottles of House of Mandela wine and a gift certificate to Whole Foods for food purchases. All opinions are my own. Chrystal Baker is a private cook, recipe developer, culinary production artist and freelance contributor to CBSLA.com, as well as a culinary production team member for various TV shows, commercials, photo shoots and online content. She maintains DuoDishes.com, a Los Angeles-based food blog that features dishes influenced by family tradition, regional fare and worldly flavors. She also shares travel stories and links to published work via a personal blog, AnyandEverywhere.com. You can follow her trail on Instagram and Twitter-- @AnynEverywhere and @TheDuoDishes. 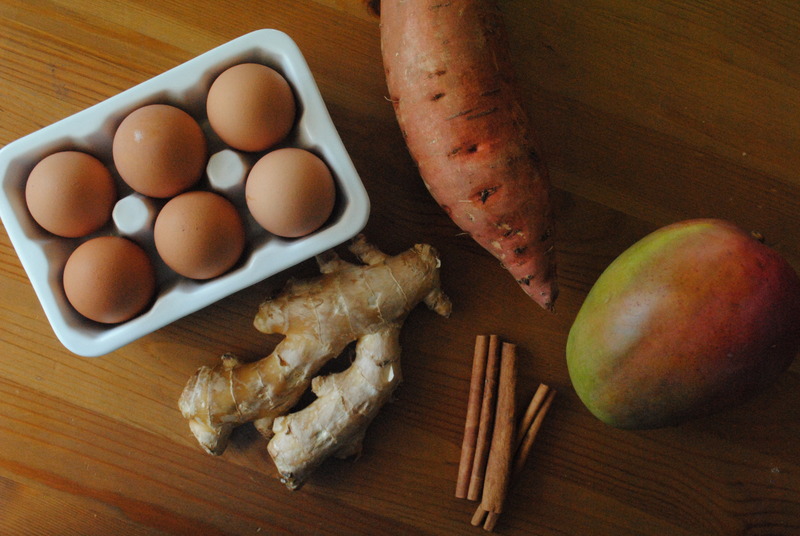 This entry was posted on December 30, 2015 by The Duo Dishes in 2015, desserts, Nia, Personal Story, Recipe, Ujamaa and tagged cake, Kwanzaa, mango, Nia, Pierre Thiam, Senegal, spice cake, sweet potato, teranga, wine, Wolof.